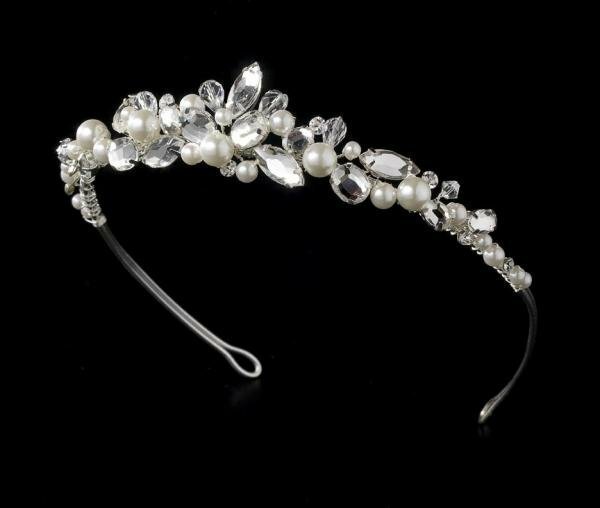 This delicate bridal tiara is beautifully adorned with sparkling Swarovski crystals, rhinestones, and off white faux pearls. Available in silver or gold, please specify your colour choice when ordering. A lovely addition to your wedding hairstyle, the ornamented portion of the piece measures 20 cm wide and 2.5 cm tall.